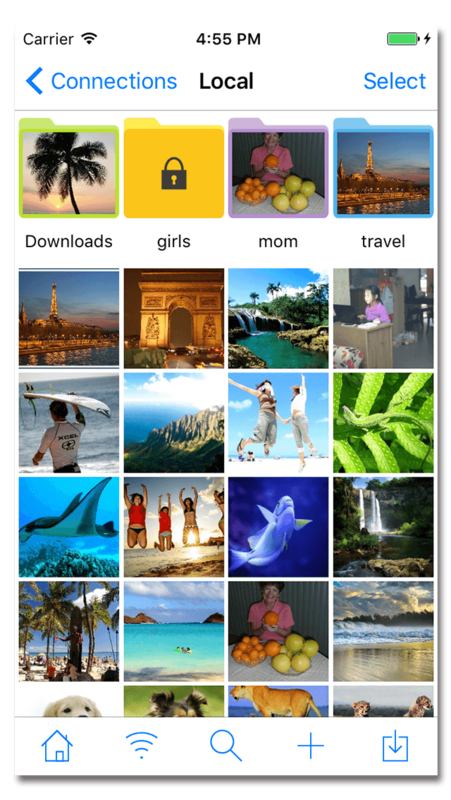 Photo Manager Pro provides a complete solution for your photos and videos. 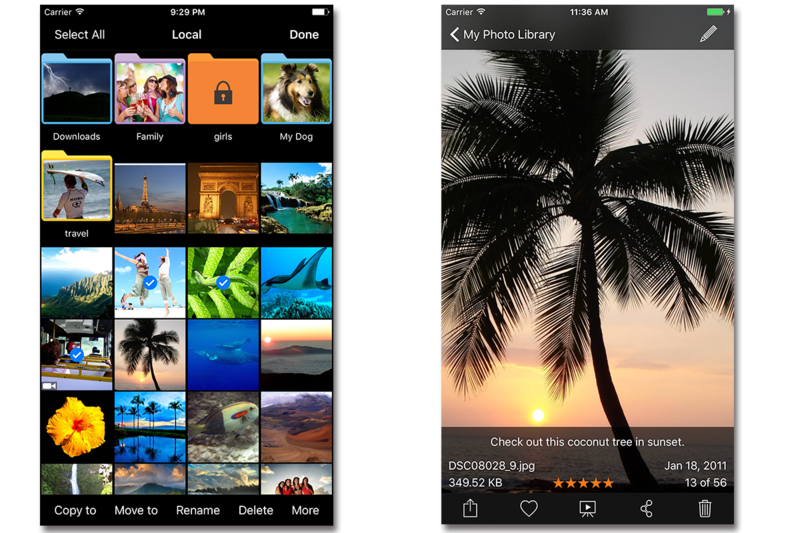 Organize photos, videos and RAW into folders, sub-folders. Set password on the app and folders. Add description and star rating on your photos. 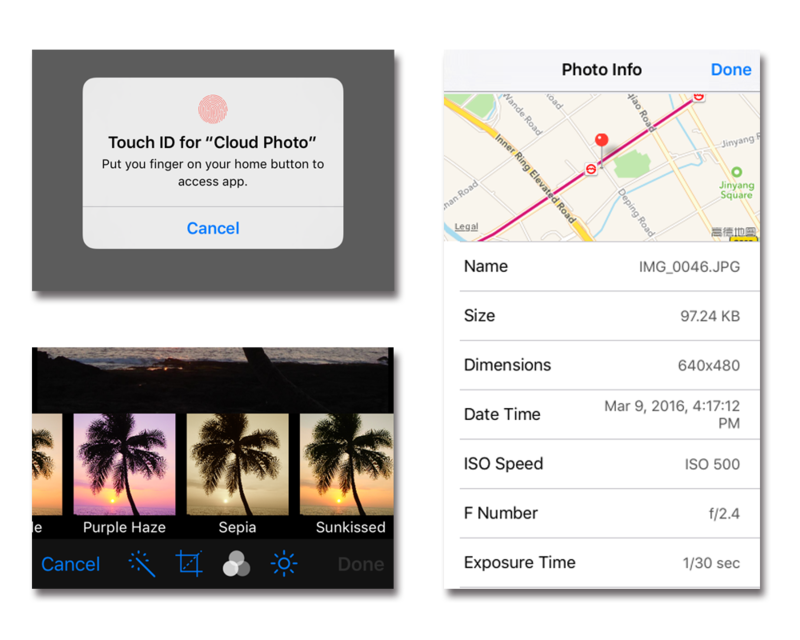 Transfer photos among iOS devices, computers and cloud storages. Organzie your photos couldn't be easier now. Copy/Move photos into folders and sub folders. Sort photos by dates, names, types. Redefine photo order by dragging and dropping thumbnail. Create your folders and sub folders with colors. Use password to lock down folder. 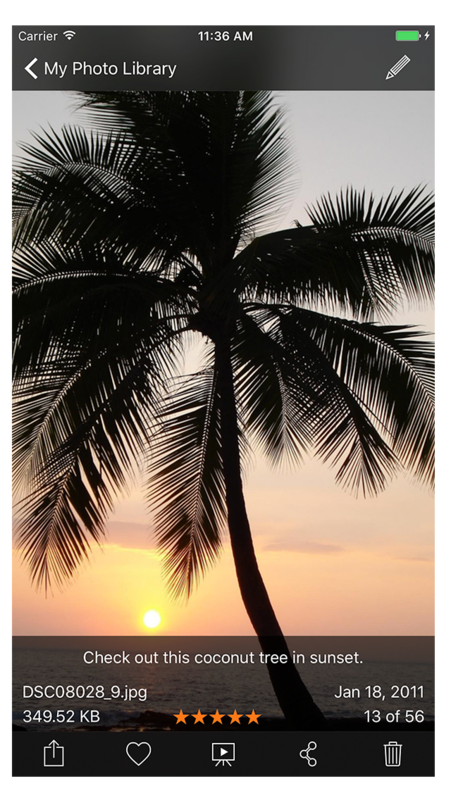 Pick beautiful photo as folder cover. 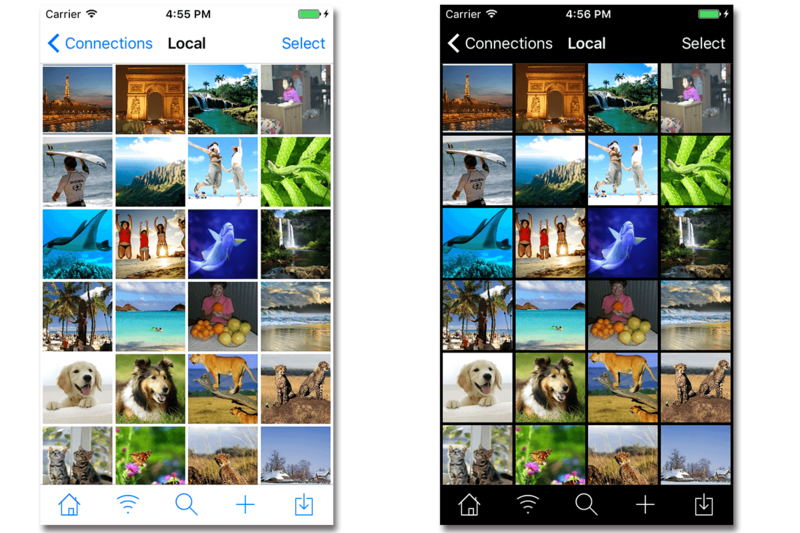 Directly transfer photos between two iOS devices. 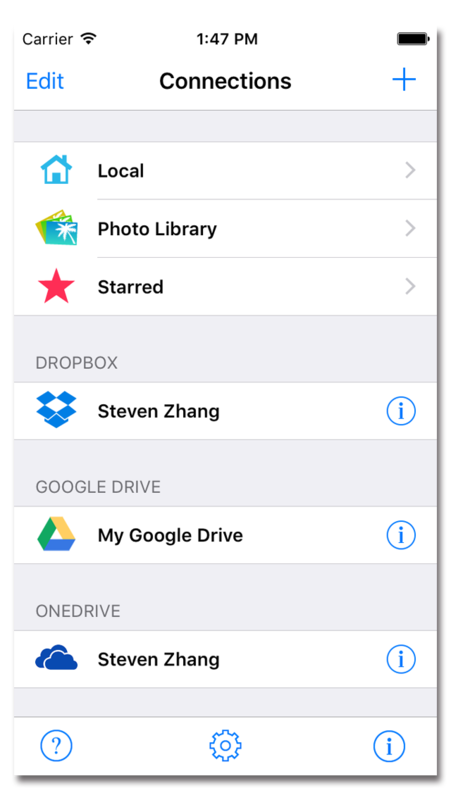 Copy photos between iPhone/iPad and cloud storages. Add star rating and description on photo. Display stars, description, filename, size, date right on your screen. 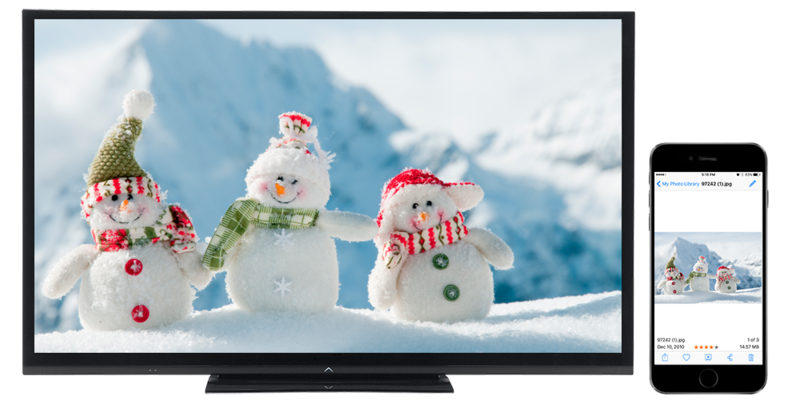 AirPlay photos, video and slideshow on Apple TV. Output photos, video and slideshow to TV via HDMI cable. Supports not only images but also RAWs. RAW: CR2, CRW, NEF, NRW, ARW, RAW, DNG, etc.